What is the Canadian Military? Is it time to rethink? Recently there has seen a number of news stories and article emerging about the state of the Canadian military. Questions of whether the navy should re-orientate itself to new challenges in the Pacific (China); the costs of stealth snowmobiles; the ongoing procurement drama of the F-35 Joint Strike Fighter and this rather eloquent article on the middle power conundrum regarding military procurement. A common theme of this discussion is the procurement and fiscal challenges facing the Canadian armed force. A former professor of mine Andrew Richter, wrote on the issue of Canada’s procurement challenges back 2003 titled Along Side the Best? The Future of the Canadian Forces. The article examines Canada’s long history of poor procurement practices and the tough decisions that would have to be made when the next round of procurement came about. Now, a decade later we are seeing this decisions (or lack there of) that Dr. Richter discussed coming to the forefront. Part of the problem is that Canadians simply don’t care about the military when compared to the broader policy priorities (actual poll results here). The clip in the aforementioned link finds that the military ranks as a long term priority for a paltry 4% of Canadians. These numbers illustrate a rather obvious point that we as Canadians don’t put much stock into defense spending because Canada has no enemies (nation states) and we can easily free ride on the bloated military spending of the United States. As a result the military is seen as something that is nice to have and people want to use for missions that support our values but it is not seen as an essential part of Canadian society or a funding priority. Despite the aforementioned poll being a year old, the year over year priorities for most Canadians tend to be relatively consistent with minor variation: the economy, health care, tax rates, the environment ranking near the top and the military ranking at or near the bottom. The impact of this policy catch 22 is that this apathy about the Canadian military has carried over into the political realm. The current Conservative government, which campaigned hard on a strong military has placed balancing the budget ahead of it campaign priorities resulting in the Department of National Defense facing steep budget cuts and constrained spending priorities. This of course brings us to the crux of the real issue, what role do we as Canadians want to see our military play in the world and in turn, what sort of military do Canadians want to pay for? From a political standpoint the federal political parties are only talking about one option: maintaining an increasingly expensive all purpose military. Yes some are willing to ditch the increasingly expensive F-35s but the disastrous Cyclone Helicopter procurement and veiled threats from Lockheed Martin about canceling the F-35 contracts shows what can happen when the government makes a bad decision or changes it mind. The result can be an armed forces that are left empty handed while huge sums of money are wasted and could have been spent on alternative pieces of equipment. With none of the political parties have engaged the public on the issue what sort of military do Canadians want and what other options are available. All of the parties speak of supporting the armed forces and ensuring our troops are trained and equipped properly for missions that they are sent on but none of them are questioning what sort of missions should we be sending them on. Canada obviously does not fund its military like the United States, yet there is a willingness to want to be able to do everything and be involved in missions that arises just as our armed forces capabilities have deteriorated to a point that may be unsustainable. In contrast in the eyes of many Canadians, Canada is still a country of peacekeepers, yet our nation’s contributions of personnel to UN missions has rarely been lower. So the question needs to be asked, what sort of military should Canada have? Since the end of World War Two, Canada has maintained an all purpose armed forces, which simply means that we have three functioning branches to our armed force (an army, navy and air force). Unfortunately for us, due to years of constrained defense budgets, deferred procurement and expedited emergency replacement purchases all of the proverbial chickens are coming home to roost. With an estimated cost of $490 billion for new equipment, needing to be purchased over the next two decades the that Canadian taxpayers will be paying a high price in order to keep this all purpose capability. In theory maintaining an all purpose military isn’t necessarily a bad thing as it enables Canada to remain flexible in its role and contribute to a wide variety of military missions on the international stage. The fundamental problem is that Canada will never have a military that can project itself on the international stage alone. Any conflict that Canada becomes involved with, will be as a part of a larger coalition of nations. Since many of our NATO allies and particularly the United States have militaries that are larger and more capable it is likely that Canadian military contributions would just supplement their capabilities. Canada’s contributions would hardly be a deciding factor in any intervention going forward nor would the size of the impact be significant in scale due to the relatively small size of our armed forces. Canada has never had a large military, and the rising costs are threatening to shrink it even further. 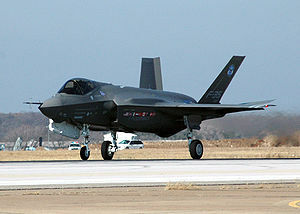 The ever rising costs of the F-35s have already illicit comments about buying fewer planes and bombs for those planes. The sheer cost of these new aircraft and buying them in the numbers needed to be able to deploy an effective force is already resulting in other branches feeling pressure with reports of an infantry battalion being cut from the army to help offset the F-35s. Questions about the costs of the shipbuilding contracts as well as the ability of Canadian shipyards to deliver on time and on budget place the navy’s procurement plans in question as well. What this illustrates is that Canada’s armed forces is underfunded and facing a poorly organized procurement schedule from the standpoint of maintaining a truly all purpose military. Now this isn’t to say that Canadians may not want an all purpose military and it is also safe to say that Canadians would want the best available equipment to keep our soldiers, sailors and airmen safe in whatever mission they sent. But there has been no discussion of what the costs are going to be in order to maintain this military. Would Canadians be opposed to a X percentage defense tax in order to fund the military properly or would they prefer cuts to other spending priorities? There is no answer to this question because no political party is willing to have a serious discussion about what the future of the military will be. forces. In this context specialization refers to the prioritization of a single branch of the Canadian armed forces both in use and funding, The non-prioritized branches of the military would be shrunk or reorganize to a minimum capability with the cost saving then being spent on enhancing the capabilities of the selected branch. This specialization is already occurring in Europe where austerity has forced deep military cuts onto several NATO powers. The Dutch Army for example no longer has any tanks as their final two battalions were disbanded in 2011 in order to save money. What these cuts have resulted in a degree synergy of capabilities between nations like Great Britain and France sharing aircraft carriers or the Dutch-German military cooperation in “a bid to better utilize ‘scarce and expensive resources and capabilities’ at a time when Europe is facing a financial crisis.” For Canada this would mean picking a single service branch and prioritizing it while cutting back the capabilities of the other branches, likely in cooperation with the United States. Although it is impossible to say exactly what this specialization would look like, I would argue that the Navy or the Air Force likely have the leg up on being chosen as the preferred choice. The reasoning is relatively straight forward as “boots on the ground” missions have gone the way of the dodo for Canada in the UN (see link above) and after Iraq and Afghanistan the desire for western troops being deployed anywhere is in relative short supply. Second, the fact that only the United States shares a land border with Canada means that our army really isn’t needed to deter or defend us from invasion (if the US did invade our army wouldn’t stop them). Under this assumption, the army would likely be turned into a largely reservist force with specialized units like Joint Task Force 2 (JTF2) and the Disaster Assistance Response Teams (DART) remaining to fulfill specialized needs as a part of a larger coalition where other countries provide the bulk of land forces. As for the Navy or Air Force one of these two branches would likely be expanded and possible enhanced likely in the conjunction with out allies designs and desires as well as the capability to defend Canadian interests and sovereignty. So for the navy, it would likely see an expanded ship building program beyond that which is already planned. Since Canada doesn’t have the capabilities to build these vessels ourselves it would likely mean going abroad for some of the ships. One intriguing idea would be the possible purchase of Great Britain’s new aircraft carrier which is currently planned to be mothballed after it completes construction (although a recent policy reversal may change this). If the Air Force is given primacy, we would likely see an expanded F-35 purchase or possibly diversification of aircraft purchases beyond the F-35. We would also likely see the purchase of attack helicopter, additional heavy lift aircraft, air refueling aircraft, airborne radar and an expanded drone force. These purchases would also be accompanied by a wider variety of ordnance with the adding of larger and more specialized weaponry like bunker busters and air to ground cruise missiles that would give the Canadian Air Force a strategic strike capability. What we would also likely see is the emergence of some joint capabilities such as a Marine brigade being formed (if the navy is given priority) or an airborne brigade (if the air force is given priority) with these new units gaining the means through which they can be effectively deployed to limited combat situations abroad. Such a convergence would allow some all purpose capabilities to be maintained but they would likely only be usable in the context of the broader support of allies or a limited deployment such as protecting an embassy or Canadians during a large scale evacuation similar to Lebanon in 2008. The specialized nature of the single branch would result in Canada striving to become a leader in operations of that branch within NATO and other allied military operations. Canada providing a naval task force to the Persian Gulf in relief of an American one or being willing and able to launch the first round of strikes of an air campaign would become standard and the norm rather then the current tertiary role that Canada currently provides. The self-defense role for the Canadian forces would see Canada’s military largely retreating from international deployments. Although some rudimentary capabilities for activities abroad such as the maintaining of our C-17 capabilities to provide humanitarian missions/disaster relief or JFT-2 for counter-terror operations; the bulk of the Canadian military would be transformed into a glorified domestic defense force. 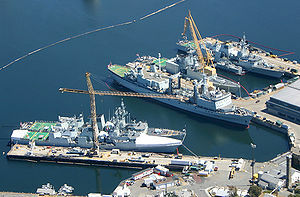 The Navy and Coast Guard would be merged into a single entity whose mission would be to police Canadian waters; the air force would be reduced to a minimum number of aircraft to protect our skies from foreign incursions and the army would be reduced largely to reservists whose primary purpose would be to assist in disaster relief and to provide limited aid for international humanitarian missions. A slightly expanded version of this would see Canada maintain a true “Peacekeeping force” where a small, rapidly deployable force would be maintained that could be deployed for peacekeeping roles that are authorized by the United Nations. This is a double edge sword where fortunately for Canada, UN missions have become increasingly rare; unfortunately the missions that the UN tends to be deployed to have tended to be in far flung parts of the world where Canada has few interests in an effort to stop increasingly intractable conflicts. Finally, there is the Icelandic way. Let’s be frank, unless the United States invades Canada itself, no other nation will. Despite the rhetoric of the Cold War and Russians coming over the pole or the fantasy that are Red Dawn (the original was better) or Homefront geography dictates that Canada is a countries that is very difficult to attack from any direction but south. So the question is, do we actually need a military? Although there would likely be some “backlash” from allies about abolishing the Canadian armed forces the fact of the matter is that Canada’s contributions to military endeavors are hardly deal breaking. If Canada hadn’t contributed to Kosovo, Afghanistan or Libya missions it is unlikely that the outcomes would have been any different. Fortunately, Canada can make it up to our allies in other ways if we aren’t willing to fund a military. The Department of National Defense budget estimate for 2012/13 totaled approximate $20.1 billion. Even if we put a portion of that amount towards subsidizing our allies military ventures that we support you would find that it has a major impact. The Kosovo air intervention in 1999 was pegged at $7 billion with another $100-150 billion for reconstruction and peacekeeping; the Libya intervention to remove Qaddafi was a relatively cheap 1.1 billion for the airstrikes; while Afghanistan although totaling likely in the several trillion dollar range, Canada’s portion costed $11.3 billion (excluding long term healthcare costs). What this shows is that Canada could easily pay for more then its share of a military mission if we wanted to. Even if the 20.1 billion was split with half, with part paying down the national debt and other half being saved to fund military and humanitarian missions in a given year Canada could easily subsidize the costs to our allies for the deployment of their forces. What is needed in Canada is a serious discussion on the fate of the Canadian military, unfortunately this isn’t a decision that our politicians are willing to have. With what is likely to be half a trillion dollars being spent on the armed forces over the next two decades Canadians need to be asked do they want to spend the money and what will that money buy? If Canadians don’t have this discussion, they risk being saddled with military of exorbitant cost that is without a clear mission or proper capabilities. This in turn will leave Canada isolated on the international stage unable to contribute properly to allied military ventures and lacking the financial flexibility to maintain a long term military operations without finding new sources of revenue or cutting expenses in other parts of the government. ← I co-authored a paper!